Yes, tomorrow is the first day of school!! It's so much fun now that my daughter is school-aged, because we both start school together--she's in first grade this year and I'm teaching kindergarten. I wanted to surprise her with some goodies... so, of course, books were in order! I found these fabulous first grade stories, which you know were the perfect "night before 1st grade" reading material. 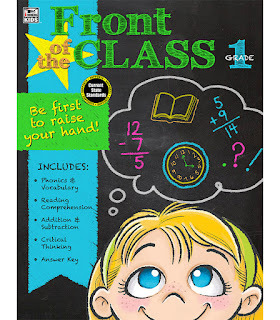 I added in this Front of the Class book from Carson-Dellosa. I had to laugh when she noticed the grade level in the top corner... "I better get right to work, Mommy! 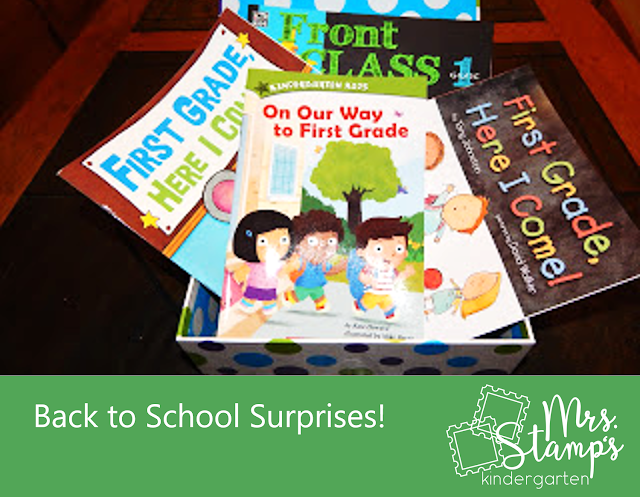 I want to be ready for 1st grade." And she did!! She sharpened a pencil and went right to work--she was excited about the easy to use format and instructions that she could read independently. 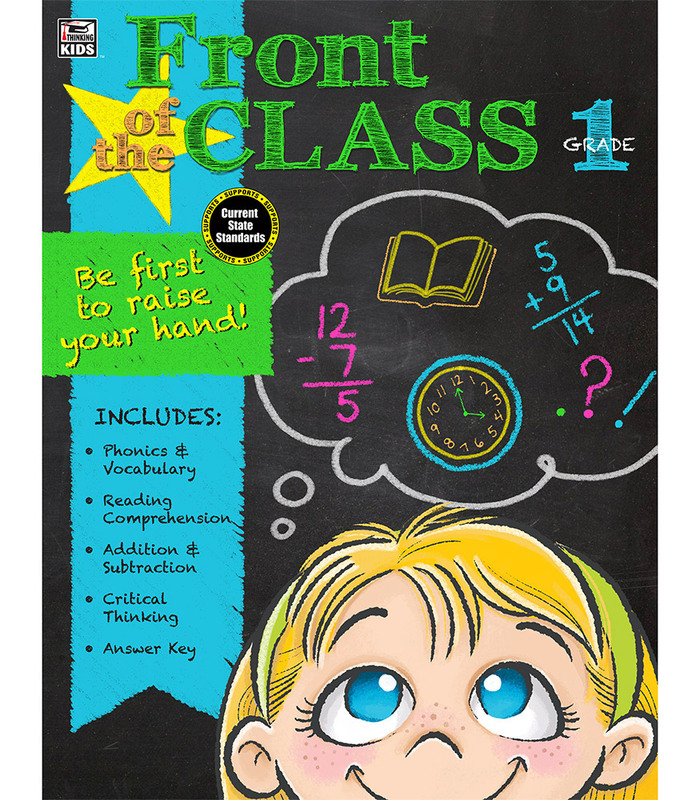 With over 300 pages, this resource covers a wide variety of topics and skills. My daughter's enthusiasm to get started was fabulous and I know she will enjoy working on various pages of this book. 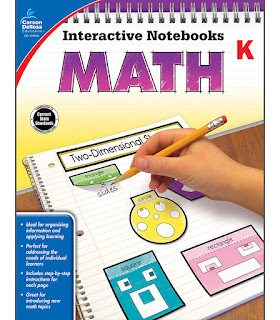 I can't wait for my own students to try out these Math Interactive Notebooks! I'm stepping up my Math instruction this year and am making my Guided Math instruction a focus. I am incorporating interactive notebooks into our Guided Math rotation (when the other students are completing Math Work Stations)--and this will be the perfect addition. I was impressed with the easy to cut pages and rubrics too. 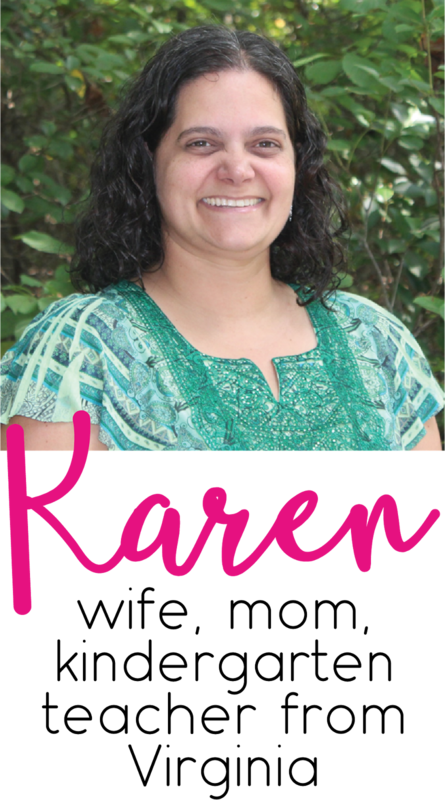 Check out this resource! 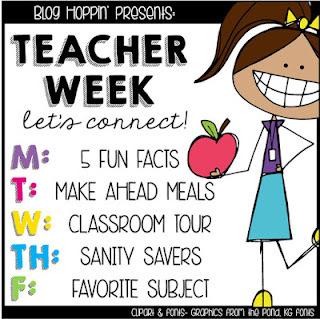 Don't forget to hop over to Blog Hoppin' this week for our Annual Teacher Week!